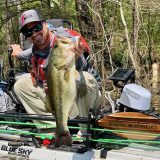 It’s no wonder that many boaters are confused about SonarCharts, as they’ve evolved in many directions. 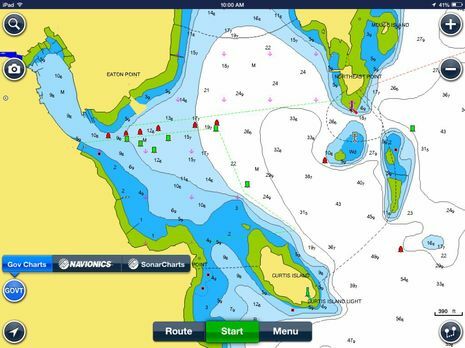 Navionics started talking about user-generated depth charts as UGC 3D back in 2012 and rolled the idea out as the SonarCharts layer a couple of years ago. 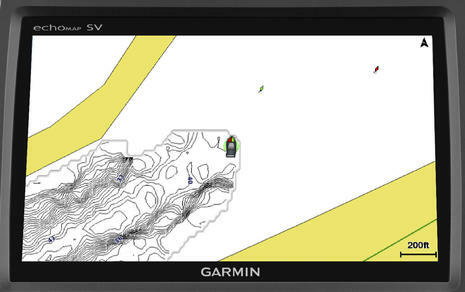 They became an optional view for many regions of the Navionics mobile apps — which all became Navionics Boating with free and in-app chart purchases early last year — and now they’re included with almost every type of Navionics chart card, at least for many regions, though they don’t necessarily display on all plotters that can show regular Navionics charts. 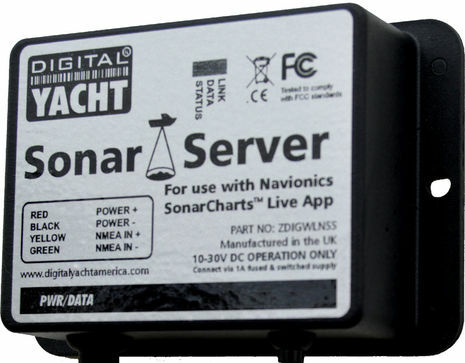 At first, contributing your own data to SonarCharts was a complex task that involved recording track or NMEA data files, taking your Navionics card home to upload them, and then bringing it back later to download the freshly processed SonarCharts containing your soundings. 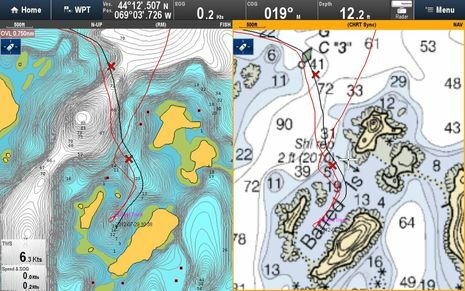 Last year, Navionics and Raymarine made that process a whole lot easier with a special form of Plotter Sync that integrates the Boating app with current Raymarine WiFi multifunction displays, though you need Freshest Data subscriptions for both platforms (and it only works with iOS Boating so far). That’s when I started seeing how SonarCharts could improve cruising (like in the Barred Islands above). 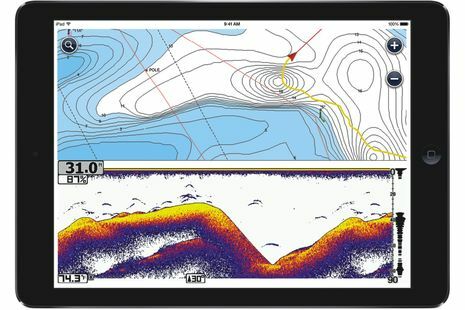 Then Navionics announced that the Vexilar WiFi sonar products would be integrated with their apps, which turned out to include the SonarCharts Live option I enjoyed testing in January (above). Only recently did Navionics make a version of SonarCharts Live possible using simple NMEA 0183 depth messages broadcast over WiFi. That’s what is being neatly illustrated above using DY’s new $120 Sonar Server. Note that GPS can also be included if your phone or tablet doesn’t already have it, and that this form of SonarChart Live can only show live depth, not the fishfinder window possible with the Vexilar connection. 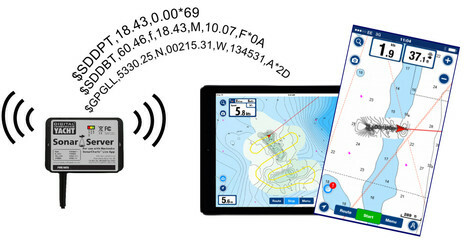 But this app feature will be as easy to use as I found the Vexilar — Navionics Boating will simply enable it when it sees the Sonar Server (or similar) on WiFi and upload the data for processing into actual SonarCharts when it sees the Internet — and Digital Yacht has created a dedicated SonarServer.com site to make the install as easy as possible. But simple and easy are really important. I may spend my work life deep into marine electronics, and many commenters here are similarly inclined, but average boaters are terribly confused by marine electronics, particularly the bleeding edge stuff like recording sonar and putting boat data onto WiFi. 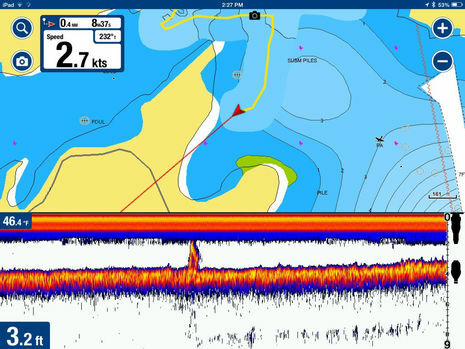 So a big tip of the hat to Navionics for making community-sourced sonar charting fairly easy (the open source folks should pay attention) and to Digital Yacht for focusing their considerable resources on a crystal clear solution to a very specific issue. Ben, I think I am one of those you mention as not understanding marine electronics very well. I am interested in being able to create/record breadcrumbs with corresponding depth readings on an iPhone or iPad chart. I think this is what this article addresses – correct? (Intended use is to scout and identify a route or anchorage with appropriate depths that would be safe for the mother ship). 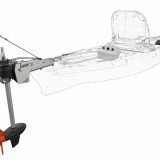 Hi, you mention in your article that you were going to try the GoFree, Vesper XB8000, and other forms of NMEA-over-WiFi data with the latest Navionics Boating apps. I have a nmea to wifi bridge, and it works great in other apps, though I can’t get it going in the Navionics app for Sonarcharts live. I’ve queried Navionics about what NMEA sentences the apps supports, and what port it is expecting to see NMEA data on, though they said they only support their partners hardware. I am sending GPS and Depth data via NMEA, and I assume that is all the app needs. Has anyone out there got a Sonar Server, and want to give up the NMEA sentences that it outputs, and on what ip port? 2) how is the Sonar Server here different from, say, a vanilla serial to WiFi bridge? Is there special encoding/conditioning of some kind done on the stream on it’s way to apps such as Avionics, perhaps special ports or signals? Drew, I’m not an IT expert but I think that WiFi bandwidth hugely exceeds NMEA 0183 serial speeds and data loads. I’ve also never seen any issues with the many 0183 over WiFi connections I’ve tried. As for question 2, I don’t think there is much technical difference, if any. The point I tried to make is that DY is smart to market a device to do a very specific task and back it up with clear and specific install instructions so that most anyone can pull it off. Regarding the first question…depends what you mean by “collisions”. Your question could be taken on many levels, some of which have a simple answer but others are pretty interesting and worthy of a blog post rather than just a comment. Ben is completely correct in saying that even 802.11 operating at basic rate can accommodate many NMEA-0183 sources which answers the question on one level. On another level, yes, 802.11 implements collision avoidance. The more interesting question is what if we have multiple NMEA-0183-to-IP sources on a single network. There’s no “standard” for this stuff (other than IEC-61162-4 which isn’t what we’re talking about here) which makes things interesting. Generally people buy one multiplexer which they stick a bunch of serial lines into, the software is responsible for multiplexing those inputs to a single wifi output and applications read that, either over UDP or TCP. That’s no problem (see Ben’s comment). If you have multiple wifi sources though, what then? If you’re using TCP, OpenCPN can handle multiple TCP data streams, but if your app can only handle one TCP input you need something to multiplex multiple TCP sources. If you’re using UDP and everything is sending to one port you’re fine if the sender puts only complete sentences into a single datagram but a bit stuffed if multiple senders are using UDP as a stream. The joys of non-standards…. This device is just old wine in a new bottle. And yes I am biased, I am the manufacturer of the MiniPlex-2Wi (amongst other multiplexers). And I am also disappointed in Navionics. In the past, they have tested the MiniPlex-2Wi with their app and for a reason beyond my comprehension, they decided not to support it. 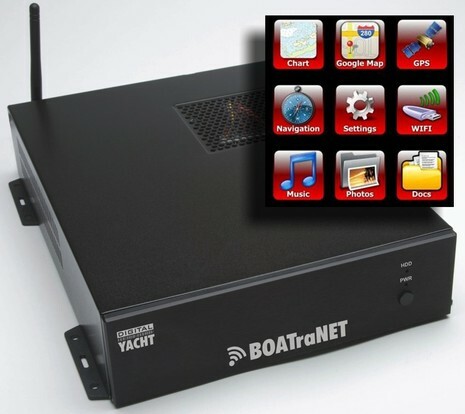 In fact, Navionics only offers a selection of pre-programmed NMEA servers. They left out an option to enter an arbitrary IP address and portnumber. And this is very annoying because I receive a lot of e-mails from customers who bought our MiniPlex-2Wi AND the Navionics app, only to discover that this app does not allow them to use any other device than the ones offered in the app. Sorry to hear that, Meindart, but did you check out the “stripydog” link provided above by Snapper? It seems like stripy figured out several ways to get the Navionics apps to recognize NMEA data coming from most any server. It seems like Navionics’ intention is to make the WiFi link super simple, and it is with Raymarine and GoFree access points. The latter is looking particularly good with boat depth and position showing on the app and SonarCharts Live running well. But I do wish that Navionics would put in the IP address option you mention. Why not? I read your article with great interest as I am a pretty technologically saavy person who is suffering thorugh the proprietary nature of marine electronics. I have an old raymarine chartplotter with a raystar 120 GPS. I was having some problems with the fix so I got a hold of the Navionics app for iOS and am loving it. I especially like the autorouting. My question is how I can support that setup at the least expense possible. It soulnd like this is the solution with the app fed by the raystar with or without the chartplotter. The only other question I would have is what if anything I can do with my smartcraft/vessel view feed from my twin engines. I have that on a separate display now but would love to get that to the table as well. There are many, many ways you can get boat data into your iPad via WiFi or Bluetooth but it’s darn confusing. Fairly simple NMEA 0183 data like GPS is relatively easy, NMEA 2000 (usually converted to 0183 en route but can be much richer) harder, and big data streams like sonar or radar the hardest. The apps also vary a great deal in their capabilities. Navionics, for instance, works well and automatically with certain sources but has no facility for specifying the URL and Port of a source dev ice it doesn’t know. Great article and very timely. I have been using the Navionics app with auth-routing on my iPhone for a couple of years now but would love further integration with my existing chart plotter/fish finder. If I understand this correctly, I can feed the 0183 data stream from my plotter to this server and that will serve up current data to my iPhone Navionics app live? Can it interface more than one 0183 device? My goal is to ultimately integrate my SmartCraft 5000 and charting info into a single tablet based information center. This unit has only one NMEA input/output at a fixed baud rate. 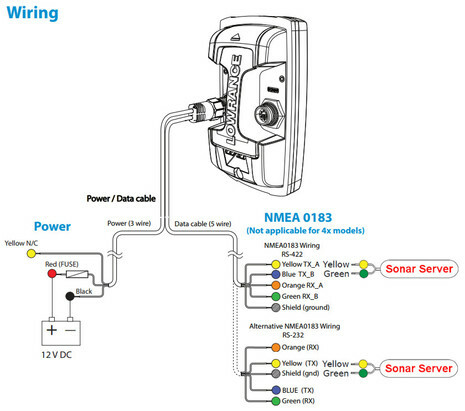 If you need to feed more NMEA 0183/2000 sources, you need a multiplexer with WiFi capability. Does anyone know if the GPS location will be available to all apps on the iPad or is it specific to Navionics? I have a wifi-only iPad that I would like to use for a backup plotter but it already has Garmin Bluecharts Mobile on it, as well as a variety of other apps (like anchor drag) where GPS location would be useful. Any app can use the GPS data delivered by ths unit. You only need to set your app of choice to UDP and set the port number to 2000. That’s all. If your app asks for an IP address, I think it’s 192.168.0.1 here but as long as our app only listens to NMEA, any address will do. Is there any way to make the connection with cables without using Wifi in between ? 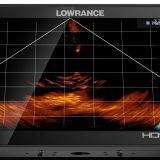 I would llike to up/download the sonar chart logs from my Lowrance Hook 7 over 4G to Navionics servers. I have Android and Linux computers in my boat and have many times connected different kind of NMEA0183 devices to all my computers.